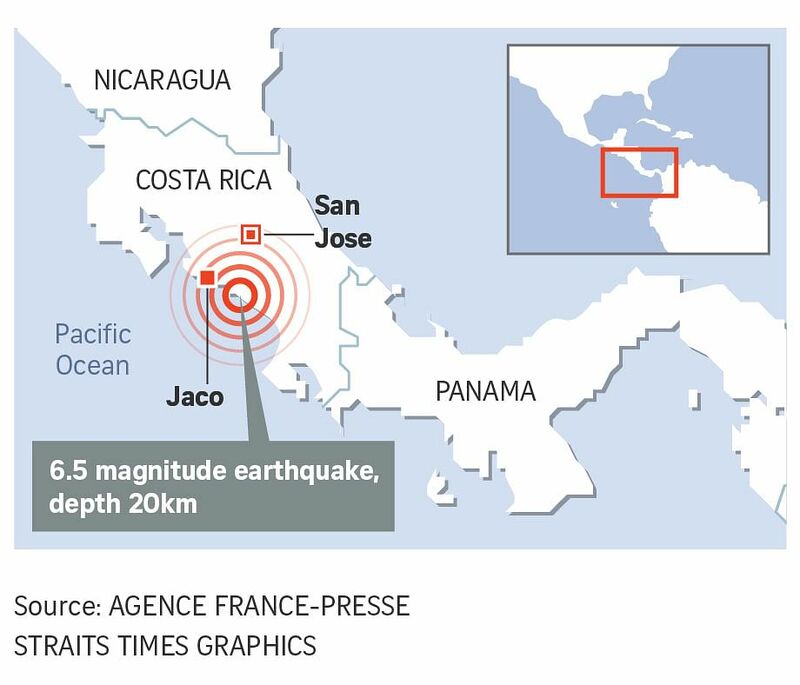 SAN JOSE (Reuters) - A strong 6.5 magnitude quake struck the Pacific coast of Costa Rica near its capital city San Jose on Sunday night, but there were no initial reports of injuries or significant damage to infrastructure. "We're very scared. It's been years since we felt such a strong one," said Otto Vargas, a university professor in San Jose, who was home with his family when the shaking started. Neighbouring El Salvador's civil protection agency tweeted that the quake caused some electrical posts to fall, while the civil protection agency in neighbouring Panama said there were no reports of damage there. The quake, initially measured as much as 6.8 magnitude, was centred 69 km southwest of San Jose at a depth of 20 km, the U.S. Geological Survey said.